We specialised manufacturer and supplier of large size fabricated square stainless steel pipes, with 100% X-Ray welding reports in case of special application requirements. We stock a wide range of square stainless steel tubes to various industries. All of our square stainless steel tubing is manufactured as per international standards of quality and safety. Stainless steel square tubes or square pipes are widely used for all kinds of structural applications and fabrication projects for greater strength and superior corrosion resistance is required. ASPL is an established supplier of stainless steel square tubes and pipes to fabrication projects that require exposure to corrosive elements such as chemical, acidic, fresh water, and salt water environments. We can also produce custom size stainless steel square tubing in the thickness range of 1.00mm to 6mm. Square Stainless Steel tubes and pipes are available in various finished including, No.4 finish, Mirror Finish, regular 2B finish or pickled No. 1 finish depending on the application requirements or client's specification. 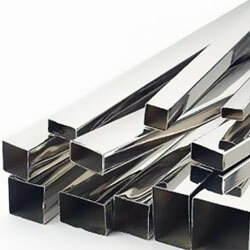 Generally No.4 and BA finish square stainless steel pipes are used for furniture, and architectural use, while 2B and No.1 pickled finish square stainless steel tubing is used for engineering and industrial purposes. SS316 square tubing has more resistance compared to SS304 square tubes and used by many industries which requires exposure to water. 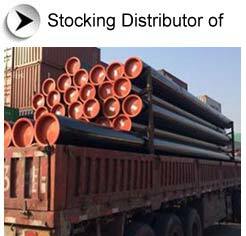 SS square tubes used by many industries including industrial, construction, automotive, appliance, furniture and agricultural industries. We supply Square Stainless Steel Tubes & Pipes in India to all major Industrial areas and cities in India such as Mumbai, Delhi, Bangalore, Hyderabad, Ahmedabad, Chennai, Kolkata, Surat, Pune, Nagpur, Indore, Thane, Bhopal, Visakhapatnam, Vadodra, Nashik, Faridabad, Rajkot, Aurangabad, Ranchi, Coimbatore, Raipur, Mysore, Bhubaneswar, Salem, Bhilai, Bhiwandi, Bikaner, Mangalore, Kochi (Cochin), Bhavnagar, Tirupur, Ankleshwar, Assam, Siliguri, Jamshedpur, Warangal, Nellore, Agartala and Thoothukudi.